The Moot Hall 15 August 2002. © Keith Evans and licensed for reuse under a Creative Commons Licence. 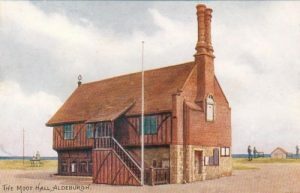 The Moot Hall is one of the most important timber-framed public buildings in England. 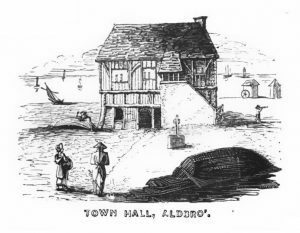 Dating from the first half of the 16th Century it originally contained six small shops on the ground floor and a spacious meeting chamber on the first floor. 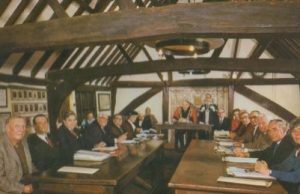 The Town Council still meets in the upper chamber. 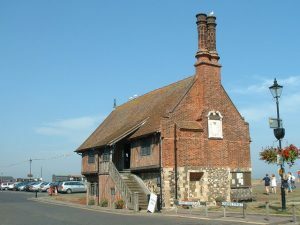 The Moot Hall also now houses the Aldeburgh Museum.